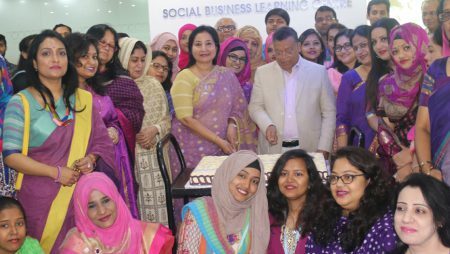 Today, 29 August 2016, the 97th In-house Executive Social Business Design Lab of Grameen Telecom Trust (GTT) was held at its Social Business Learning Centre (SBLC). Design Lab is an interactive event where the Nobin Udyoktas-NUs (New Entrepreneurs) present their business proposals and explain their business. Twenty-One (21) business proposals were approved out of Twenty-Two applicants, 1 female and 21 male. 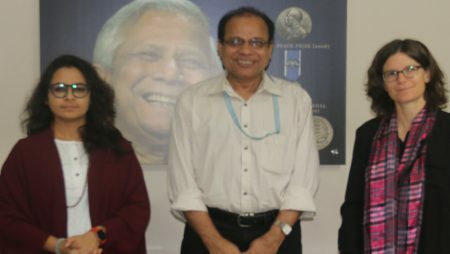 The Design Lab was chaired by Ms. Jannat-E-Quanine (former General Manager, Grameen Bank). 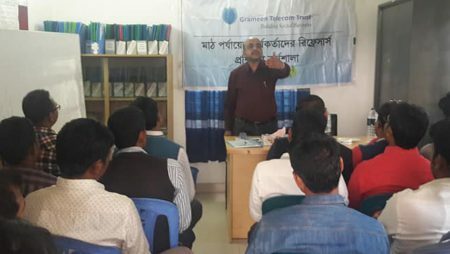 Mr.Sultan Ahmed Bhuiyan (Chief Finance Officer and Board Secretary, Grameen Telecom Trust) along with the team of Social Business of GTT also participated at the Design lab. The total project agreements signed between GTT and NUs have reached to Two Thousand Seven Hundred and Eighty Eight (2,788) which is the Hundred & Thirty Fourth (134th) batch of Nobin Udyoktas. The NUs mentioned their preference for GTT over other institutions as GTT not only invests in their business but also provides effective guidelines and necessary technical support to run their business smoothly and profitably.